If you’ve been following Lively Table for a while, you know that Saturdays are usually for pancakes in our house. It’s been a weekly tradition since my husband and I started dating in college. 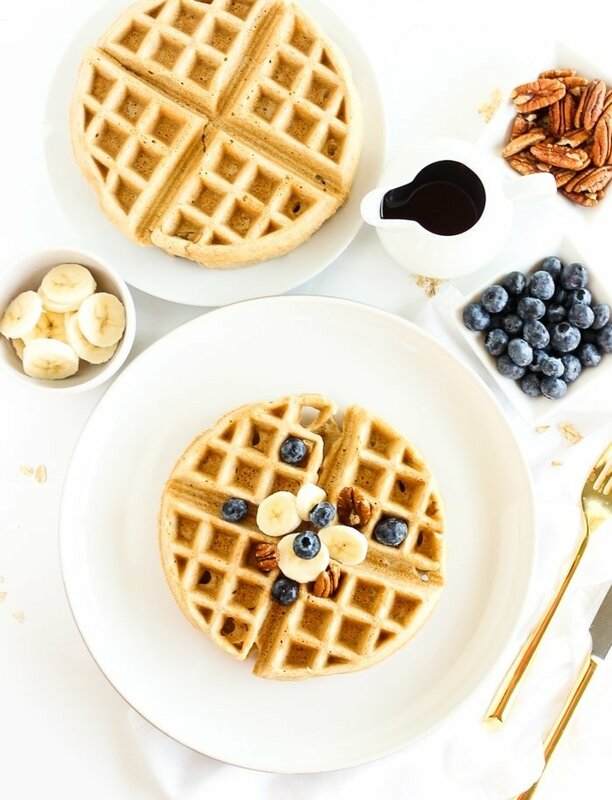 But our pancake Saturdays and slowly morphing into waffle Saturdays. And I’m not mad about it. 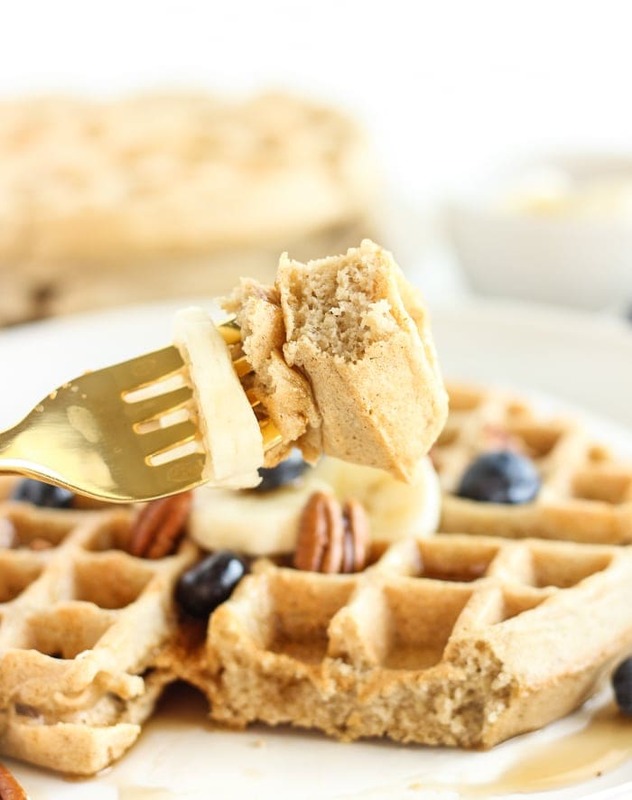 Waffles are a great opportunity to get more whole grains and fruit into your diet in one delicious breakfast! 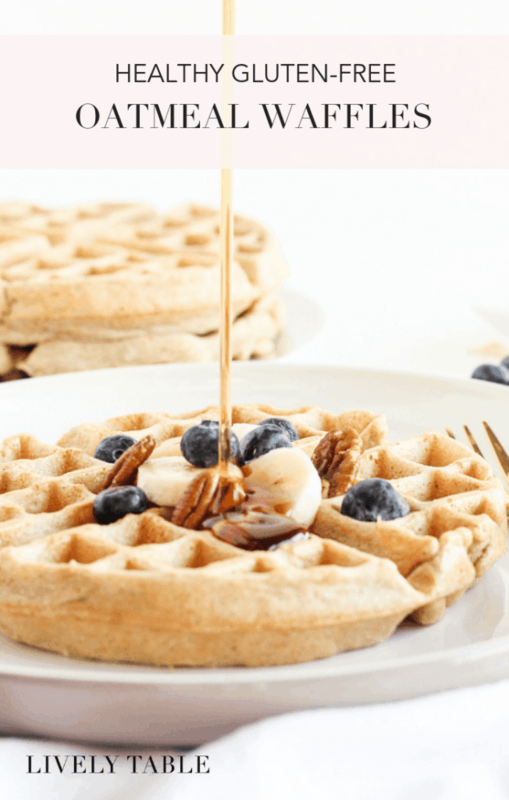 The batter lends itself so well to sturdy whole grain flours like whole wheat or oat flour, and they’re the perfect vehicle for all sorts of nutritious toppings like fruit and nut butter. Not to mention, they’re super tasty! 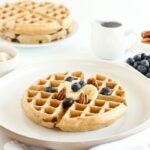 These healthy, gluten-free oatmeal waffles are made out of old fashioned rolled oats, so they’re naturally gluten-free, and they’re so easy to make with just your blender! You probably already have all of the ingredients to make them in your pantry. Because nobody wants to go to the grocery store on a Saturday morning when all you really want is to drink coffee in your PJs and eat waffles. 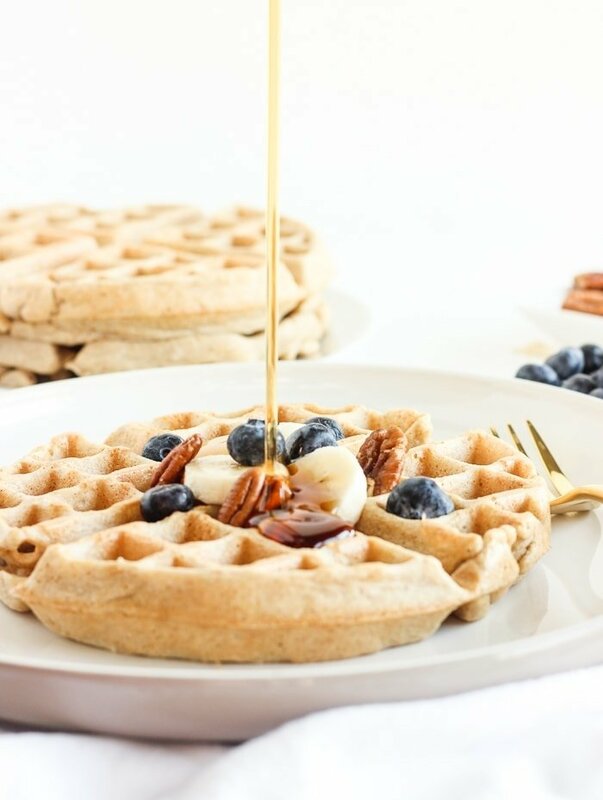 These gluten free oatmeal waffles are also perfect for meal prepping. They freeze well, so you can take one or two out as needed and pop them in the oven or toaster to heat up on a busy weekday morning and still get a nutritious breakfast in a hurry. 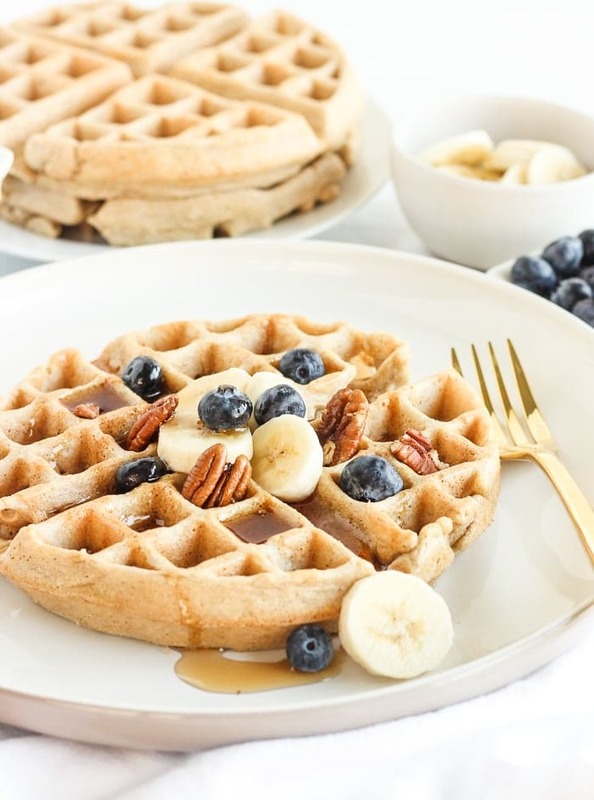 I love these waffles for their slightly nutty taste and filling fiber. Oh, and their light, fluffy insides with beautifully crispy exteriors. They the perfect waffles if you ask me. If you want to make them dairy-free, you can use oil in place of butter. Though I love the hint of delicious buttery flavor in my waffles. You could also use a vegan butter spread, such as Earth Balance. Now I want to know, on Saturday mornings, is your family a pancake or a waffle familly? Scoop batter into prepared waffle iron and cook according to manufacturer’s instructions. Top with fruit, maple syrup, or any other toppings! *Use oil of choice for dairy-free. Yes, almond milk will work in this recipe. I don’t include nutrition information because I want my site to be friendly for those in recovery from eating disorders. You can calculate nutrition facts using the supertracker tool on MyPlate.gov.